The Supreme Court's health care decision: what does it mean for the St. Louis region? The United States Supreme Court building in Washington, DC. Updated 5:06 p.m. with more information. As we reported this morning, the Supreme Court has held that the federal healthcare law is constitutional. That includes the individual mandate that requires almost all Americans to buy health insurance by 2014. The Court called the penalty that someone must pay for refusing to buy insurance a kind of tax that the Congress can impose under the Constitution. Some will turn to the online marketplaces known as health insurance exchanges to fulfill the mandate. The director of health policy for the Missouri Foundation for Health, Ryan Barker, says Missouri is one of a couple dozen states that have resisted setting up a state health insurance exchange. "And so now legislators really need to come back and decide: do we want a Missouri-based exchange, do we want the federal government to set up an exchange for us, or do we want to have this federal-state partnership exchange, where there's some cooperation in running the exchange?" Barker said. 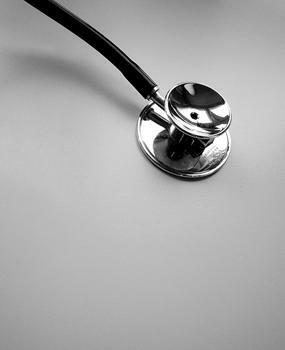 Under the federal healthcare law, all states need to have their health insurance exchanges up and running by 2014. The decision also appears to open the door to the possibility of states opting out of Medicaid expansion, saying that states can’t have existing Medicaid funding taken away if they refuse to comply with the new requirements. For Missouri, the decision means that most of the state’s approximately 835,000 uninsured will be covered by 2014. That’s assuming Missouri goes along with the law’s Medicaid expansion. Dr. Ed Weisbart chairs the St. Louis chapter of the advocacy group Physicians for a National Health Program. "If the state of Missouri does not act on the power within the Affordable Care Act, we're going to have 260,000 people across our state who will remain uninsured despite the fact that the federal government is standing armed, ready, and willing to pay for it," Weisbart said. Weisbart says without insurance and access to basic health care, people have no choice but to go to the emergency room - which he says drives up costs for everyone. Dixie Platt is the senior vice president for public policy for the St. Louis-based SSM Healthcare, which owns 16 hospitals in four Midwestern states. Platt calls today's decision "a big step" toward providing health insurance coverage for all Americans. "The Affordable Care Act is far from perfect, but it does begin to shift our system from one that focuses on disease and illness, to one that really focuses on prevention, chronic disease management, and on better care coordination," Platt said. With the decision, the parts of the healthcare law that are already in effect in Missouri and the rest of the country will continue. That means young people can remain on their parents’ health insurance plans until they turn 26, seniors will continue to get help paying for prescription drugs, and many Missourians now have access to free preventative care. DOCUMENT DIVE: Here's the full decision for you to read. “Today is a great day for Illinois and a great day for our country. This decision means that millions of working families across Illinois will continue to receive better healthcare. “These historic reforms that are strengthening our healthcare system will continue to benefit young people, those with pre-existing conditions and care providers. St. Louis Mayor Francis Slay blogged about the decision, calling it "great news for St. Louis and many of our residents." A video reaction from U.S. Sen. Roy Blunt, R-Mo. “I am extremely pleased by the Court’s ruling that the health care reform law is constitutional. This is not a political triumph, but a victory for the American people. I was, and continue to be, a proud cosponsor of the Patient Protection and Affordable Care Act. I wholeheartedly believe in making quality health care available to and affordable for all Americans, and am encouraged that the Supreme Court agrees. This ruling is significant. Insurance premiums will not increase, and health care costs for all of us will continue to be reined in. Most importantly, tens of millions of Americans will gain health insurance. That is the true victory. This is also a big win for those who currently have health insurance. Individuals with pre-existing conditions will not face unaffordable premiums, and insurance companies will not be able decline to cover them. Parents will continue to be able to cover their children aged nineteen through twenty-six under their insurance plans. Seniors will not be forced to choose between paying for their prescription drugs – at astronomical prices – or buying food or heating their homes this winter. “Sixty years ago, President Harry S. Truman realized that to effectively grow as a nation, all Americans must have healthcare coverage,” said Carnahan. “While changes to our healthcare law would be made, including the signing of Medicare with President Truman in attendance, his ultimate dream would be deferred for nine Administrations to follow. Two years ago, that dream came true and today, that dream is a full-fledged reality. “I applaud the decision which echoes a majority of Americans who believe that healthcare coverage is both a right and a responsibility. Because of his courage and the hard work of President Obama, American families will be able to protect children with healthcare until they are able to buy coverage for themselves; insurance companies will continue writing checks to customers as a rebate for money not spent on patient care; 50 million Americans who were underinsured or uninsured will have an avenue to care, so they will not fear bankruptcy and ruin because of a simple cold or broken bone; seniors will face a diminishing donut hole in prescription drug coverage that will eventually disappear; doctors will continue examining the massive disparities in the way minorities are affected by some diseases and women will have free coverage for mammograms. Most importantly, Americans who simply want to buy insurance will never again be denied, simply because of a pre-existing condition. "The Supreme Court ruling today is disappointing but also affirmed what we knew all along -- this is an enormous tax increase that will be felt by middle class and struggling Missourians. This tax will block job creation and further collapse our fragile debt-ridden economy. 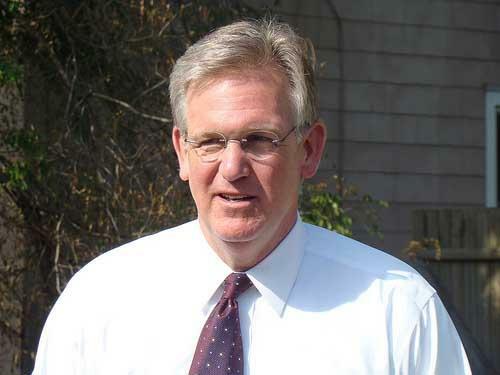 In Missouri I led the fight against Obama Care when I put Prop C, the Health Care Freedom Act on the ballot, and more importantly I stopped Governor Nixon from creating a health insurance exchange in our state which was the building blocks for socialized medicine. I will continue to fight against big government and I will always stand with the 70+% of Missourians that voted in favor of Prop C and against Obama Care. Elections matter and in November, the voters of Missouri will be the only court opinion that matters." "It is also noteworthy that after two controversial, activist decisions in Bush v. Gore and Citizens United, the Chief Justice, in both the Arizona immigration law and the Affordable Care Act cases, appears to be working to reestablish the political neutrality of this court. That is a positive development." "Congress should repeal the health care law and replace it with common sense, centrist reforms that give Americans the right to buy insurance across state lines and expand coverage without raising taxes, while blocking the government from coming between patients and their doctors." Republicans in Missouri are praising Monday's ruling by a federal judge in Virginia that declared portions of the new federal health care law unconstitutional. The Missouri Republican Party released a statement criticizing Democratic Senator Claire McCaskill for supporting the bill.